Paeonia Catharina Fontijn is a traditional Dutch classic. The best thing about this variety is that its colouring will differ slightly each year. Quite the surprising peony! It will always contain a shade of light pink whether in the bud or after opening. 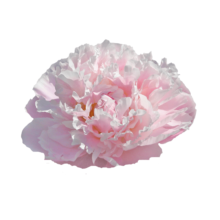 The peony was bred in 1952 by Van der Valk and Van der Zwet and is one the few Dutch peony varieties. Catharina Fontijn is susceptible to Botrytis cinerea, so it’s best not to keep it in a damp environment. Luckily for us our growers know exactly how to threat them. Botrytis won’t stand a chance.